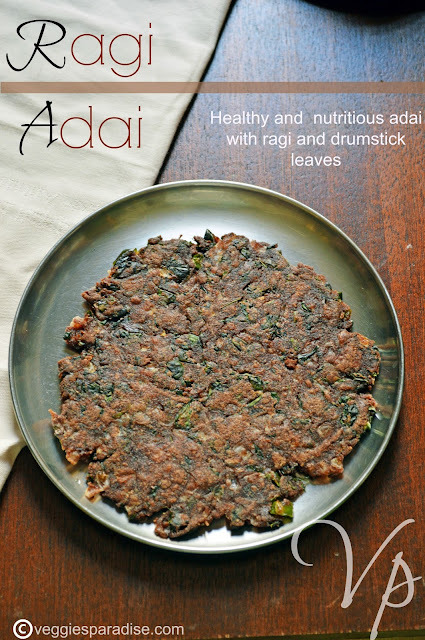 Ragi Adai -Healthy ,Gluten free recipe. Ragi or Finger Millet or Kezhvaragu is a vital food in South India. There are lots of recipes made with ragi flour, but this dish prepared with the combination of ragi and drumstick leaves is unbeatable. A very healthy and delicious adai ,simple to prepare . Those who are in diet , can have these adai as it is very filling and good for diabetics. Green leaves and herbs are more nutirtious than the green vegetables. One such green leaves packed with vitamins and minerals is drumstick leaves or murungakeerai. It has got amazing healthy benefits . They taste delicious when added to dosa's , tender greens are added to cooked lentils, It is also stir fried as such or along with other vegetables to make a delicious side dish. 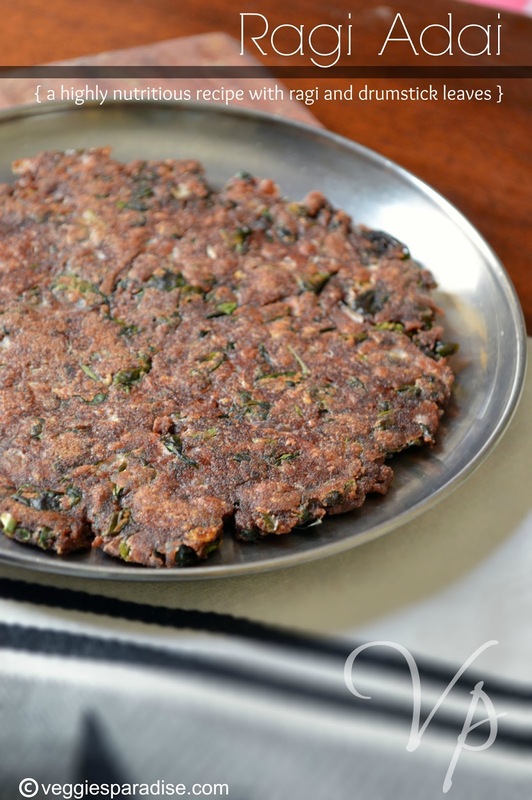 My favorite way of eating theses leaves is in this form of delicious adai. During my vacation trip to India , my MIL used to prepare this often . Discarding the leaves from the stem is the only time consuming process, the rest is easy. 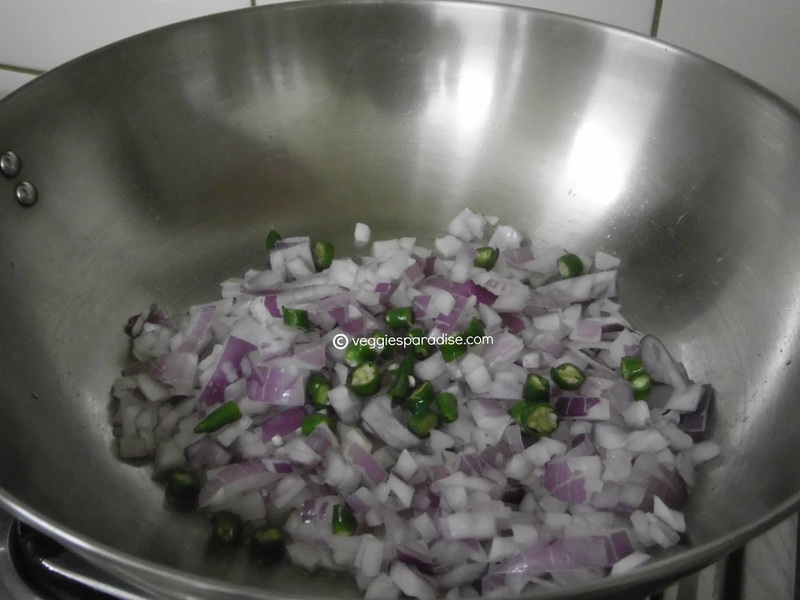 I love to have with more onions and drumstick leaves, adjust it according to your taste buds. Heat oil in a pan, add the chopped onions and green chillies, fry for few minutes. Now add the drumstick leaves and fry for a couple of minutes. Remove from heat and allow it to cool. 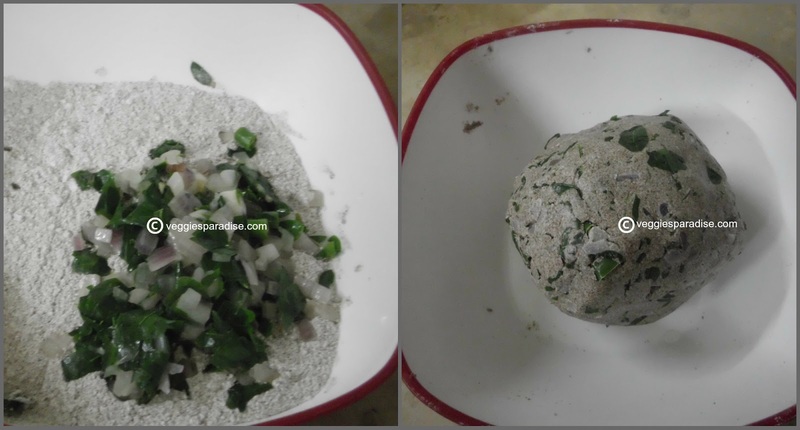 Mix all the ingredients to the ragi flour ,add salt and form a dough by adding water little by little. Divide it into five equal parts and form balls.Heat the tawa in low heat, grease it with little oil. Add oil along the sides of it,cook on both sides in a medium flame. Flip them on both sides and make sure the adai is cooked well. When flattening the next one, make sure to low the flame. Spicy,healthy and delicious adai is ready to be served. Healthy adai..looks crispy n delicious! 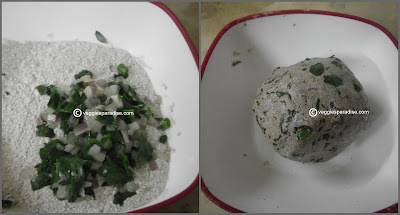 Ragi with drumstick leaves.That is such a healthy combination.I must try this. Yummy and healthy adai..looks delicious. Very healthy n yummy....nice cliks. Looks very good, we don't use onion neither murugkai, I will try when i go to my parents home. You can make ragi adai with little fresh coconut n rava with gobi carrot n dhania. All your recipes are good. 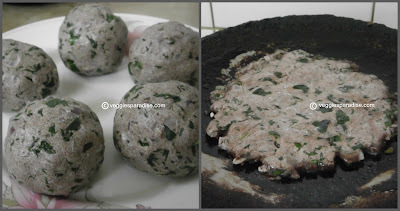 Great collection of Ragi recipes, Ragi Mudde is my favorite one, Thank you for sharing these recipes.